Upon arrival at Gongor airport at Lhasa, transfer to the hotel in Lhasa. Rest of the day free for acclimatization. In the morning we drive to Gyantse. Gyantse was earlier the Tibet's third most important city, lying in the Nyangchu valley and along the main routes from India and Nepal to Lhasa. In former times it was a fort, the centre of Tibet's wool trade and a gateway to the outside world. We have an overnight stay at the hotel in Gyantse. Today we drive from Xigatse (Shigatse) to Xegar. Xegar is a new Chinese commune built at the foot of the ruins of Xegar Dzong, and is 7 km from the main road. With a population of 3000, its importance lies in the fact that it is the center of this large and remote country and also because it is the base from where expeditions to Mt. Everest and other peals are launched. Today we drive from Xegar to Rongbuk. 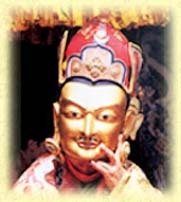 Rongbuk Monastery was founded in 1902. This is the largest monastery of the region and had once over 500 monks and nun. It is located at the foot of the Rongbuk Glacier, near Mt. Everest's north face Base camp. A couple of centuries before the complex was built, a small group of nuns in meditation huts braved the severe conditions regularly experienced at this sobering altitude of 4980 m. In Rongbuk we also explore the Mt. Everest's Base Camp. Today we drive back from Rongbuk to Xegar. Evening free for leisure in Xegar. Today we drive back from Xegar to Xigatse. Evening free for leisure in Xigatse. In the morning drive from Xigatse to Lhasa (3650 m). Upon arrival transfer to the hotel in Lhasa. Rest of the day free for leisure in Lhasa.